Jeff Gross makes it all look easy. From lounging on the Streamboat in the Virgin Islands with Bill Perkins to strolling the halls the World Series of Poker with 23-time Olympic Gold Medalist Michael Phelps, Gross is seemingly everywhere you’d want to be all the time. While it may look like Gross is living that easy life, don’t be fooled. He’s constantly hard at work earning himself the ability to live out the poker dream. 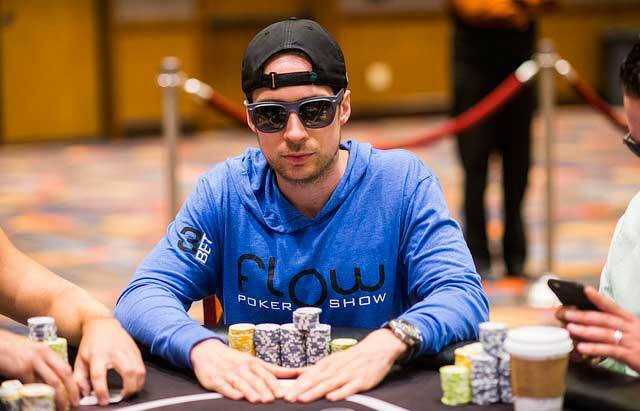 Gross is a poker social media savant, constantly tweeting, posting photos and stories on Instagram, vlogging on YouTube and, of course, streaming poker on Twitch giving his fans ample opportunity to watch him grind. Gross’ work has paid off too, he’s one of the few American poker players who has been able to secure a sponsorship in the post-Black Friday landscape joining PokerStars as a Team Online Pro. As skilled as he is in social media, Gross is equally accomplished as a longtime poker grinder, having battled on the felt for over a decade. To date, Gross has earned over $3.1 million in lifetime live earnings and another $1.2 online. As a guy who’s not afraid to share his opinion, we stole a few moments from his busy day to get his thoughts on topics both poker and pop-culture. So, here are some takes from Jeff Gross that you just gotta know. Fortnite has been dubbed the most popular game on earth with famous Fortnite and fellow Twitch streamer Ninja earning a reported $350,000 a month playing it. There was a time when Gross had the nickname “PBF” standing for “professional best friend” and is known as a guy everyone likes having around. Known to do a little night wake surfing on Lake Mead, is Jeff an adrenaline junkie off the felt? “They’re cool, I respect it. I was pretty much soccer my whole life but in terms of watching and respecting the craft, I think it’s really cool. I always wonder how guys are doing what they do. Like, how do they try it for the first time? How do they get into it? But for me personally, that’s not really a go…but I respect it. The big blind ante may be the next big evolutionary rule to tournament poker as the format finds its way into cardrooms all over the world. “I love the big blind ante. To my knowledge, Cary Katz has got credit for that. I played some Aria $25k’s and they used it there. I’ve done it in Florida at the Hard Rock. At the World Series obviously in some events. I gotta quote Matt Savage who was saying he believes the Main Event next year will use the big blind ante. That’s his guess and obviously, he’s one of these guys in the loop…you know, Jack Eiffel, Matt Savage, Tony Burns, Sean McCormack, these guys that are in the know and are kinda in a small group that talk and exchange ideas. He’s pretty confident on it. I love it. Slated to start on August 25, Burning Man 2018 will see legions of “Burners” journey to the middle of the desert to experience the yearly festival. “I went and then I met my wife there. Walking past each other in the middle of the desert and now we’re married. That was in 2014, four years ago. Antonio Esfandiari has an upcoming boxing match against comedian Kevin Hart, which will be another in a long string of poker players doing battle in the ring. “I think it’s cool. [Antonio] told me about this a while ago. I think it’s an interesting thing, I think it’s kinda one of those things people want to see things that are out of the box. He’s obviously a pretty big underdog but it’s exciting. Who wouldn’t like to see Antonio get hit in the face a few times for all the antics he does? It will be fun to watch. It’s a mixture of friendliness but also the fun and the unknown. For [Antonio], it’s going to get him in better shape and there’s a lot of positives to it: it’s good publicity, it’s fun, and lighthearted within poker. Gross routinely vlogs on YouTube, streams on Twitch, posts stories on Instagram and tweets on Twitter – all of which he can be found and followed under his username: JeffGrossPoker.